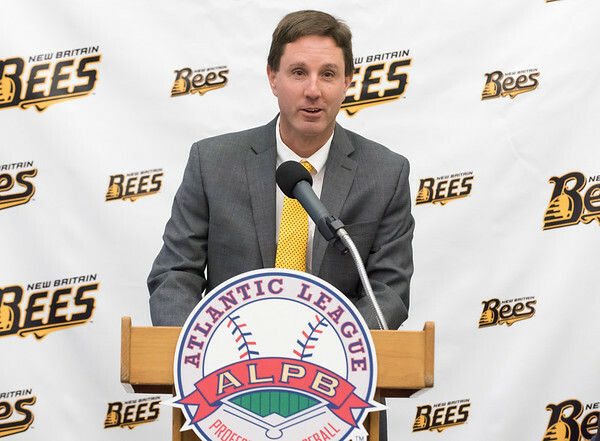 NEW BRITAIN - The New Britain Bees have added another offensive weapon for the postseason run. The Bees acquired outfielder Angelo Songco from the Southern Maryland Blue Crabs the team annonced Thursday afternoon. The move completes the trade between the two teams that sent Angelys Nina to the Blue Crabs in May. Songco showed his potential at the plate last season with the Long Island Ducks, his first season in the Atlantic League. The left-handed hitter batted .263 with 24 home runs and 81 RBI in 518 plate appearances. The numbers have tapered off this season - he hit .248 with two homers and 27 RBI for South Maryland. Still, a Bees offense that ranks seventh of eight Atlantic League teams with 474 runs scored is in need of reinforcements. The former fourth-round pick by the Dodgers in 2009 will also provide New Britain with some much-needed depth in the outfield. Before getting Songco, the Bees had just two outfielders listed on their roster - Darren Ford and Jamar Walton. Songco is no stranger to independent league ball. Before 2017 with the Ducks, he spent three seasons in the American Association, where he crushed 46 homers and 193 RBI in three seasons with St. Paul Saints after being released from the Los Angeles Dodgers organization. In six seasons in the Dodgers organization, Songco Songco hit .263 with 77 home runs and 335 RBI. His best season was in 2011 with High-A Rancho Cucamonga, when he hit .313 with 29 homers and 114 RBI. Posted in New Britain Herald, New Britain Bees on Thursday, 23 August 2018 21:10. Updated: Thursday, 23 August 2018 21:12.